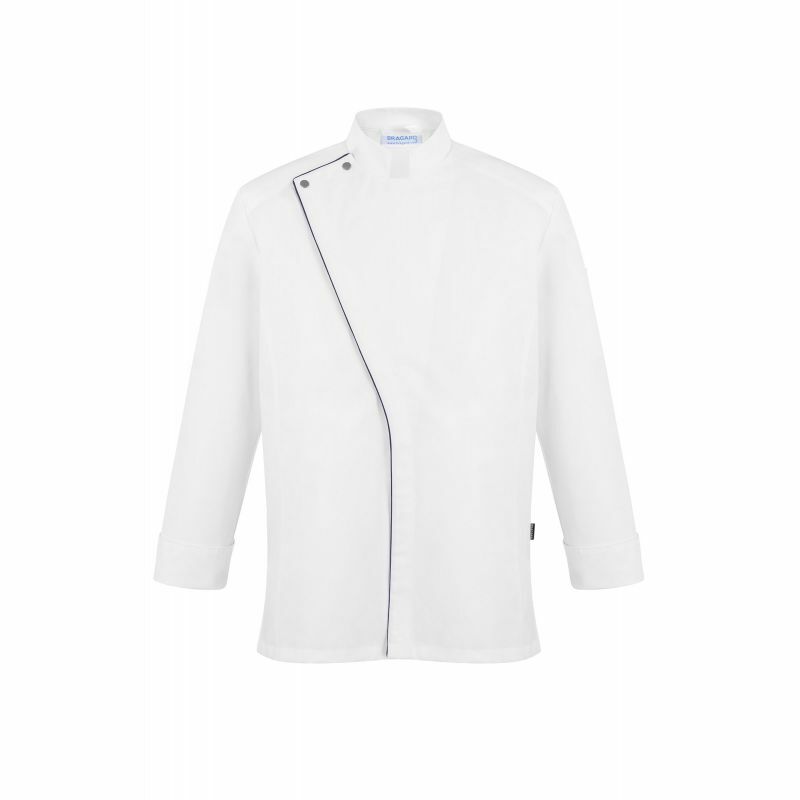 Men's chef jacket. 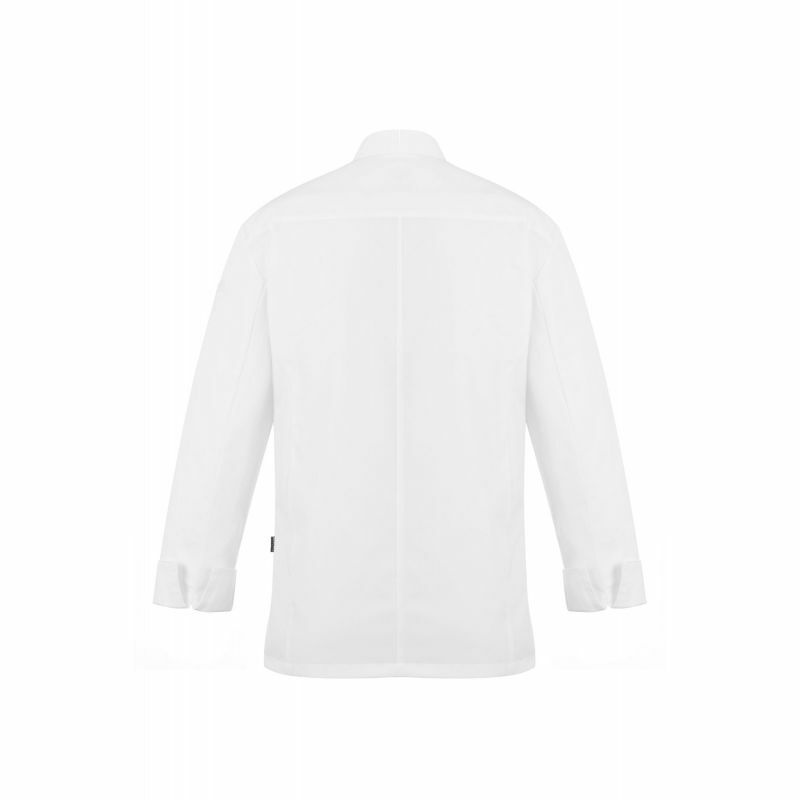 Mandarin collar. 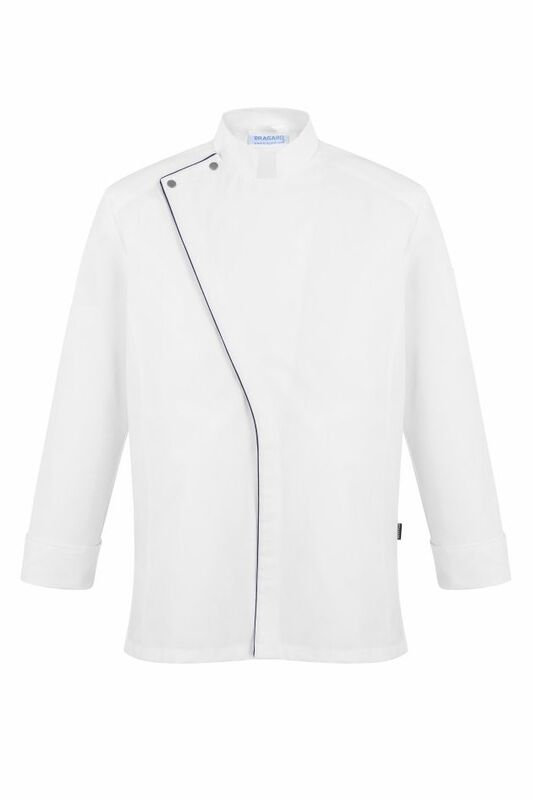 Press-stud placket. Contrasting piping front edge. Long sleeves. Underarm air vents. Pocket on the left sleeve. Back length 76 cm 65% polyester, 35% cotton.